In anticipation of the major storm forecast to hit Northern California in the coming hours, the City of Elk Grove will be distributing sandbags should the need arise. If conditions warrant, according to the city's website, "call Public Works at (916) 687-3005 to determine if sandbags are being issued. 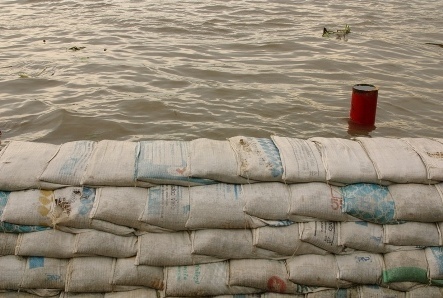 Depending on the event and the inventory of sandbags available for protecting private property, the number of sandbags issued per resident or business owner may be limited." Heavy winds are expected to start Wednesday night with heavy downpours of rain forecasted to start late tomorrow morning. Sandbag distribution sites and more information is available here. Separately, the Cosumnes Community Service District announced on Twitter this afternoon programs at the Pavilion and Youth Center at the Elk Grove Park have been canceled for Thursday, December 11.